Different forms of putty are great for a myriad of reasons. Putty is good for strengthening hands, improving fine motor planning, fidgeting, and more. 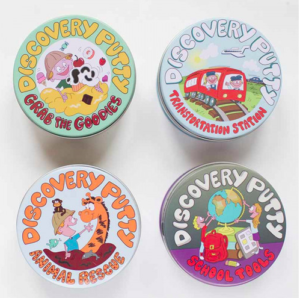 Fun and Function offers Discovery Putty.